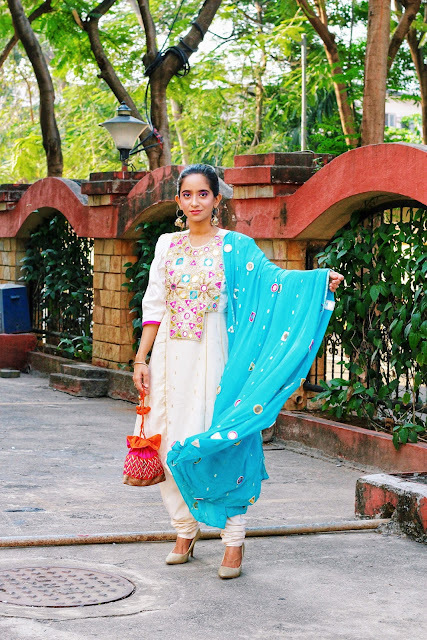 Yet another Desi outfit and this time wearing a 15 years old Salwar kameez passed on to me by my Mum. 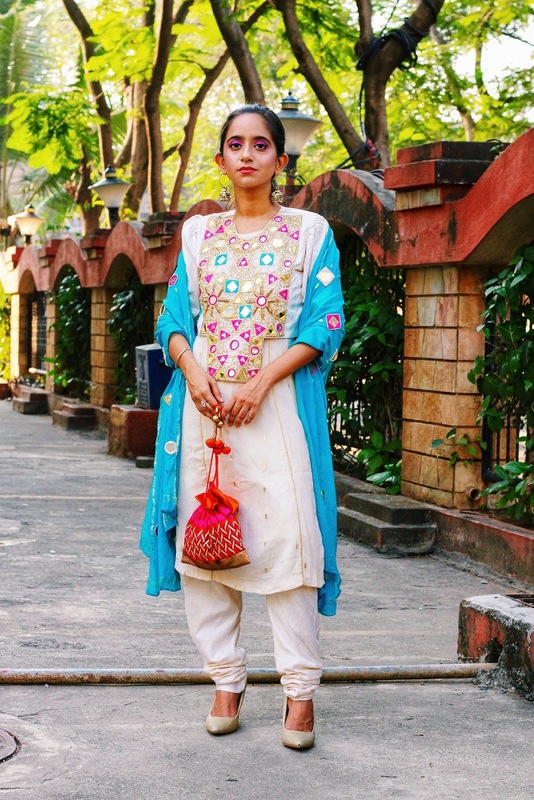 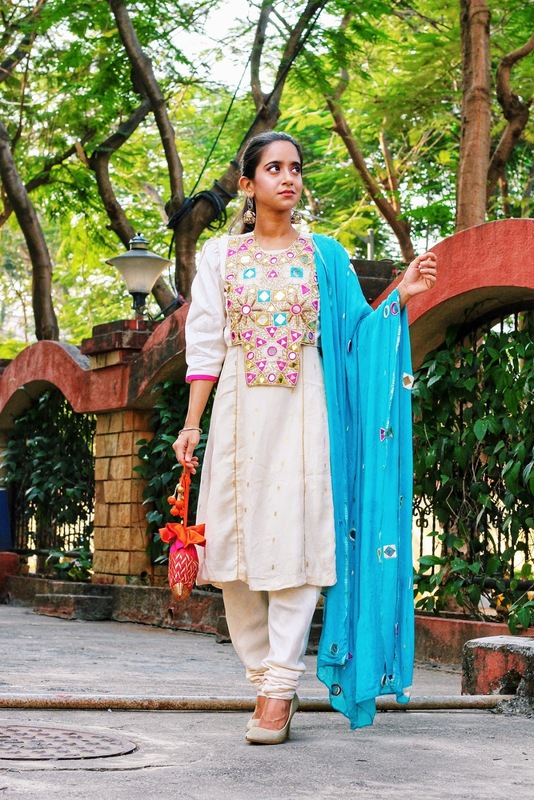 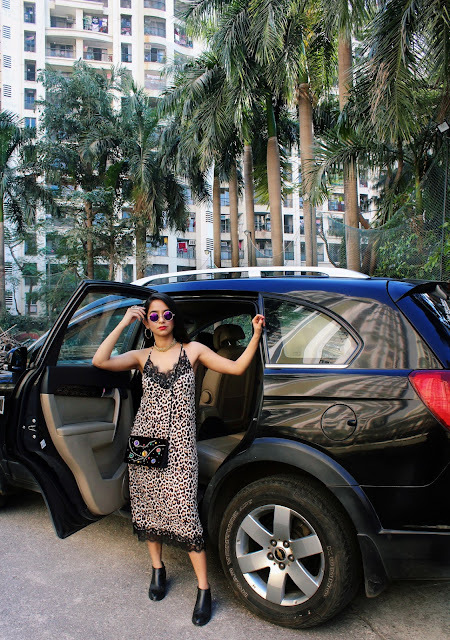 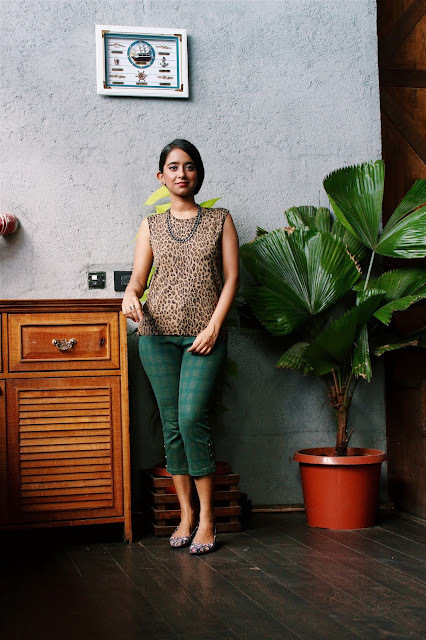 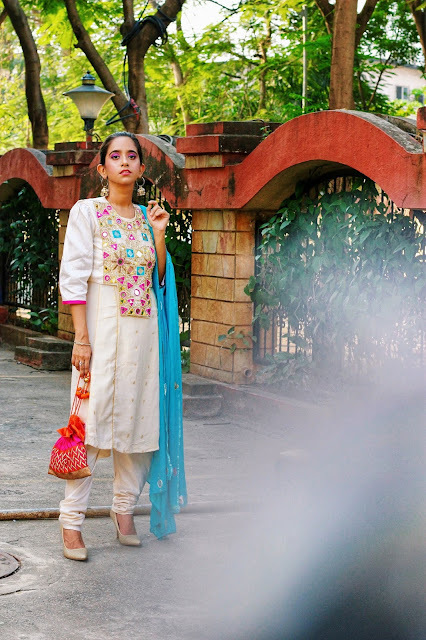 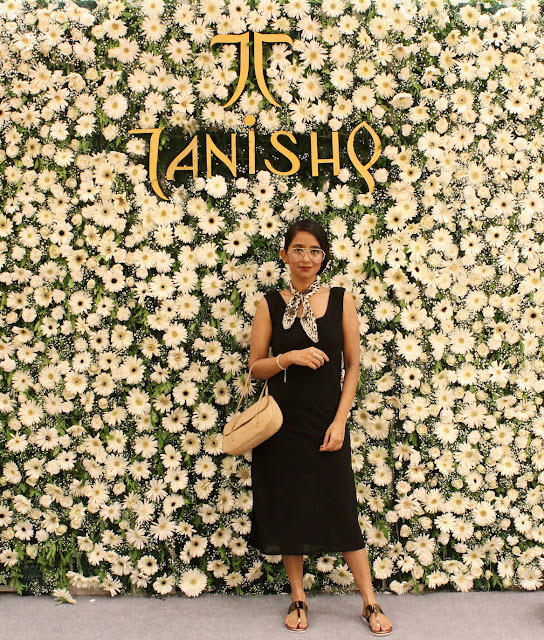 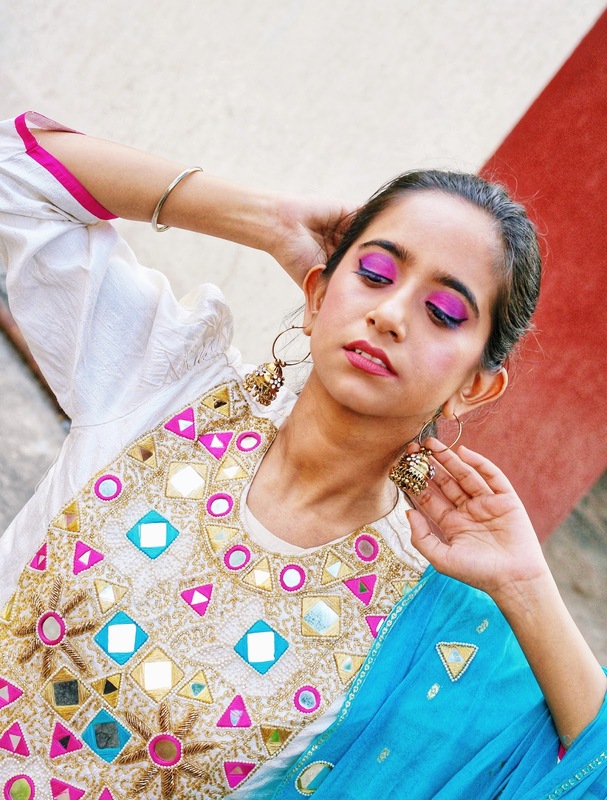 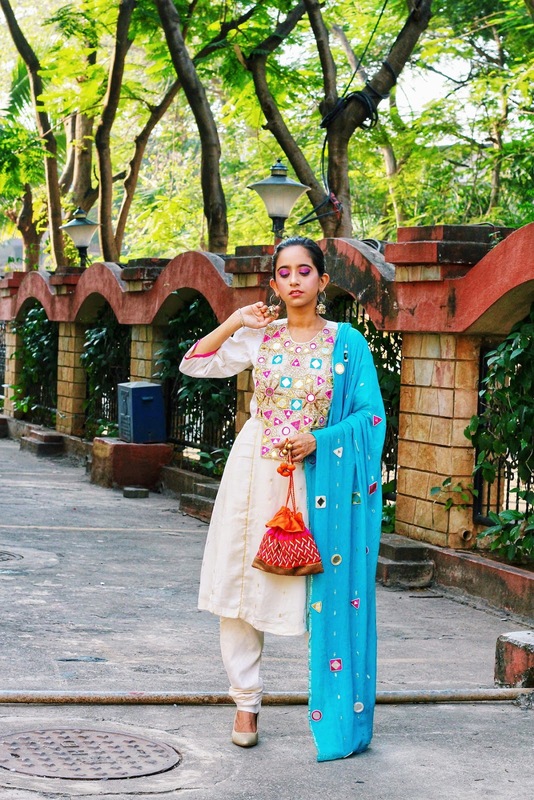 I have always been picky about my outfits especially the ethnic ones since I tend to wear them occasionally but repeat them innumerable times and hence I am always on a hunt for outfits that stand test of time and trends. The simplicity of the dress with the fabulous mirror work and gold kadai work on the jacket and the dupatta plus the 80's shoulder pad and all the beautiful colors wrapped in this outfit stole my heart. Adding more color to the outfit with my potli bag and a pop of color on my eyes.